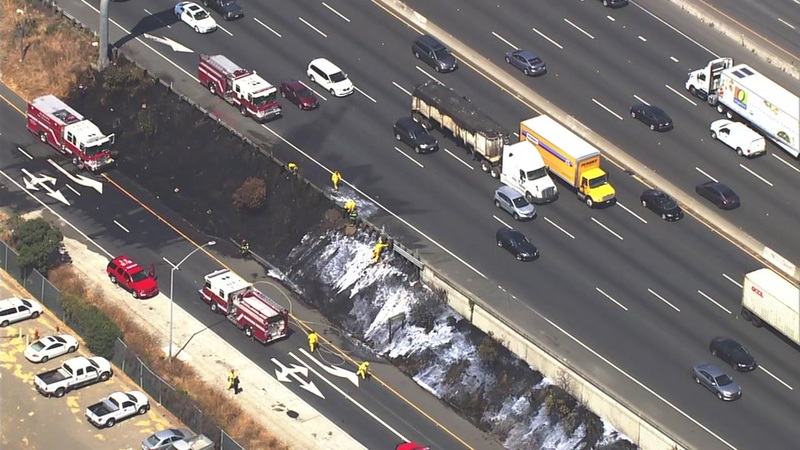 BERKELEY, Calif. (KGO) -- Fire crews are working a small grass fire near the Gilman Street off-ramp on westbound Highway 80 in Berkeley. There are reports of smoke blowing across the freeway, which is slowing traffic. The fire was first reported after 2 p.m. on Monday. There are no reports of injuries. No lanes of traffic have been close, but expect delays.